Texas has been besieged by unpredictable weather and vicious storms that have caused a swell in hail damage insurance claims by the state’s residential and commercial property owners. In Fort Worth, Dallas, Mesquite, Abilene, Wichita Falls, Gainesville Lubbock and most North Texas communities, property owners barely recover from one hail storm before another round of hail damage sweeps through the area resulting in a hail claim after hail claim. In Fort Worth and the surrounding areas, homeowners and business owners are exhausted, on edge and upset, which is precisely when insurance companies complicate matters further by denying claims or offering disturbingly low settlements that leave property owners in shock. Few things are more upsetting than when property owners, who have honored their insurance contract, file legitimate hail damage claims that are rejected by the insurance agency who promised to be there when needed. In Texas, when your insurance company denies a valid hail claim, it is deemed a “Bad Faith Claim;” a term used to describe a legitimate claim that is rejected by the carrier for no valid reason. No matter how friendly your carrier seems, they put their interests first, ahead of the interests of their insured clients. Insurance companies are in business to make money, even if it is at your expense. The less insurance companies pay for a legitimate hail claim, the more profitable the insurer is. At Hutchison & Stoy, PLC, we agree this seems a conflict of interest. On one-hand, the insurer sells coverage to clients who pay their premiums but when the client files a legitimate hail damage claim, the insurance company does their best to dispute, discredit and deny the claim. To support this practice, insurance companies have developed numerous strategies to wear down, discourage and even intimidate clients who file legitimate hail damage claims that should be paid without hesitation. The Texas Department of Insurance (TDI) is responsible for regulating the state’s insurance industry, which is bound by the Texas Insurance Code (TIC). When insurance providers fail to comply with TIC, cases can be forwarded to the Office of the Attorney General for review. The Agency has the right to sue under provisions of Chapter 541 of TCI as well as under protections offered under the Texas Deceptive Trade Practices Act, a bridge insurance companies do not want to cross. The problem is that TDI does not offer legal advice to consumers and does not explain insurance law. In fact, TDI is prohibited by its mandate from offering legal advice to consumers. The Office of Public Insurance Counsel (OPOIC) will represent consumers but only in groups. So, if you are a consumer with a legitimate hail damage claim and your insurance provider acts in bad faith, what are you to do? It is an important question because your rights are counter to the insurance company’s model for profitability. Your insurance company may sound like they have your best interest at heart, but that is rarely the case. That is where the Warriors for Justice at Hutchison & Stoy in Fort Worth, Texas, come to the rescue. We represent your interests and will make sure legitimate claims for hail damage are paid by your insurance carrier in the full amount in a timely manner. We are the Good Faith lawyers you need to end frustration and correct the misleading practices insurance companies use in bad faith against hail damage claims. Call Hutchison & Stoy for a free consultation regarding your case at (817) 820-0100 or fill out a free case evaluation form online. Hail Damage lawsuits occur because insurance companies prefer to use their claims adjusters to represent that hail damage is cosmetic and easy to repair. Typically, insurance company adjusters do not care about the quality of the work or the extent of the damage. They try to make your pain seem like a natural outcome and might even go so far as to imply the hail damage is somehow your fault! After the adjuster arrives at an estimate which usually amounts to far below the true cost a qualified hail damage repair team would charge to repair your roof, broken windows or damaged siding, the insurer will begin to apply pressure on you to accept their offensive offer. If you have procured an estimate for repair by a qualified third party provider, they will likely challenge the source and the amount. The insurance company wants you to accept the estimate prepared by their adjuster, who will not perform the work. Hail damage can be serious and can cause damage beneath the surface, which is definitely not cosmetic and can, in fact, threaten the property’s infrastructure and reduce the value of the building. Under your insurance contract, you are entitled to full and complete repairs to any part of the structure that is damaged due to hail. You should not settle for less! But, be prepared because your insurance provider is likely to throw the book at you. Their claims people are trained to use any strategy to reduce the amount the company must pay. Many claims people earn bonuses based upon their success at reducing the company’s payouts. Let’s be clear; the insurance claims person who says their offer is fair, that their adjuster knows the industry or that “everything will be okay” is misleading you while pressuring you to accept a bad offer. Insurance claims personnel use every tool at their disposal to lower the amount of money their employer pays for your hail damage. It is not a nice job but it is what they choose to do. Insurance claims specialists are not completely truthful and they will delay payment, badger you to accept a low offer while assuring you they have your best interests at heart. That is not the case! And, that is precisely why the Warriors for Justice at Hutchison & Stoy, PLC, file insurance hail claim lawsuits on your behalf. Our lawyers will contact the insurance company, dispute their offer and fight to get you properly compensated for the hail damage. If the insurer does not agree to honor the legitimate hail damage claim in a timely manner, Hutchison & Stoy, PLC, will commence a hail damage lawsuit that will cost the insurer even more because we will demand they pay our fee! This will not happen unless you retain the experienced hail damage lawsuit team at Hutchison & Stoy, PLC, to protect your interests. How Can I Contact a Hail Claim Lawyer? 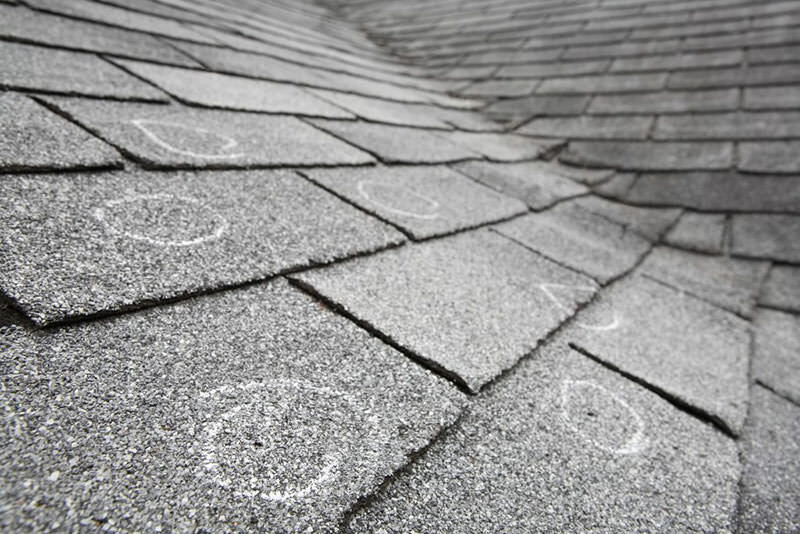 You must notify your insurer of hail damage when it happens. But, before you negotiate with the insurer, why not call the Warriors for Justice in Fort Worth, Texas, at (817) 820-0100 and take advantage of our free consultation? Our lawyers will handle everything and you will not suffer harassment by insurance claims people again! Call today!